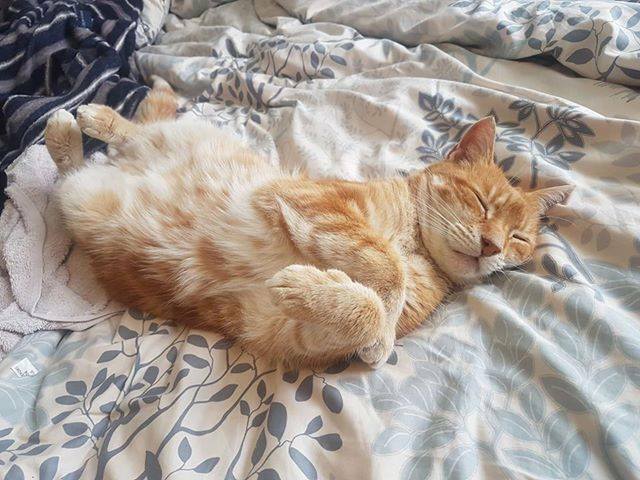 A lovely update on Gilford, I just want to reach out and give that fluffy tummy a tickle!! Hi we adopted Gilford in November last year and we all just love him! He’s been a wonderful addition to our family, he seemed very happy to be at our home and it feels like he’s always been here, even our other cat has accepted him. Thanks very much, Cats Protection League does such wonderful work!